Gard Strategies will post to Facebook, Twitter, and Google+,etc. on your behalf. We have social media management plans to meet the needs of all businesses, from basic maintenance to full agency social media platform management and coaching. Custom Social Media Plan – Custom packages are ideal for any business requiring additional social media monitoring. Whether it be Youtube, Pinterest, Instagram, or social platforms for targeted social media advertising campaigns, this package allows you to dictate your digital marketing presence! 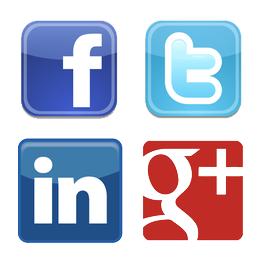 Gard Strategies offers Social Media Plans to simplify your online marketing! Not having a social presence for your business online is no longer an option. The social media management strategy experts at Gard Strategies understand Social Media, and know how to utilize it to increase your online business presence. Social Media Management Strategy can be time consuming and often requires a creative understanding of one’s brand the social media management consultants at Gard Strategies will not only monitor and update on your company’s behalf, but will also develop an understanding of your unique business perspective and goals. The content Gard Strategies posts will be catered toward your individual company’s perspective, and will be aimed at driving sales and increasing your online presence. Many businesses encounter an issue translating social media into increased profit: let Gard Strategies handle the technical aspects, while you reap the benefits!